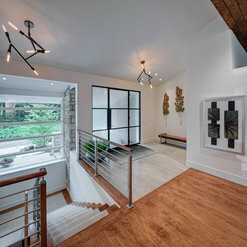 Whitelaw Custom Homes works with a variety of architectural firms; I am honored to be one. I started working with Charlie twelve years ago and we have collaborated on projects ranging from a $200,000 remodel to a $2.5M new residence. His attention to the detail and ability to problem solve is consistent regardless of scale. 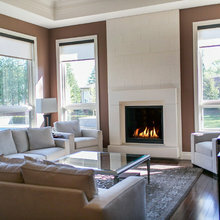 Whitelaw Custom Homes is well-versed in construction of contemporary, transitional and traditional styles. 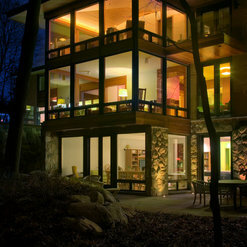 I would highly recommend Charlie Whitelaw for any custom home construction project. I had heard that marriages have broken up because of the stress of building a house. We built a new construction about two years ago and can say that our process with Charlie and his amazing staff was enjoyable!! If there were any issues or problems, we were unaware - he handled it. We are so pleased with the results and am impressed that he still keeps in touch with us making sure everything is ok. He accompanied us on all of our architect meeting and any other dedign meetings helping keeping us on budget! 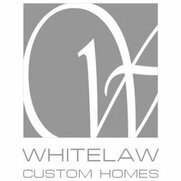 I have referred Whitelaw Custom Homes to many friends and will continue to! 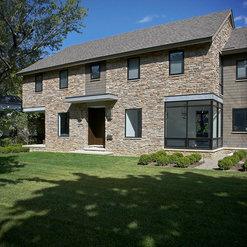 Whitelaw Custom Homes built our contemporary custom home in 2011 and 2012. We found them easy to work with, very available and responsive to our needs. 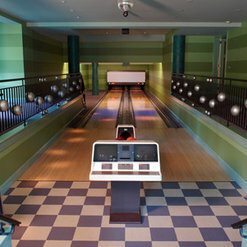 They also came up with creative design ideas which enhanced our original architectural plans. When problems arose, as they always do in new construction, the issues were handled in a fair and professional manner. We really felt like we received personalized attention, and the flexibility was outstanding. Charlie Whitelaw is the ultimate professional. He completes his work with pride and the highest level of skill. He is a pleasure to work with. I highly recommend him. He is the right person to build your dream home. Charlie and his crew were professional, on-time, and on-budget! His attention to detail is second to none. Building with him was an absolute pleasure, and he stands by his product. I would recommend him to anyone that appreciates the best. Commented: Pot rackThe pot rack was a custom built.